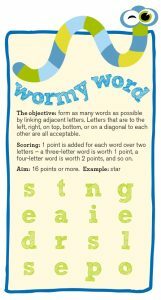 Form as many words as possible by linking adjacent letters. 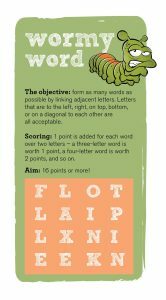 Letters that are to the left, right, on top, bottom, or on a diagonal to each other are all acceptable. 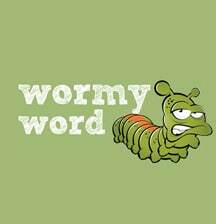 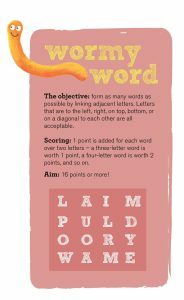 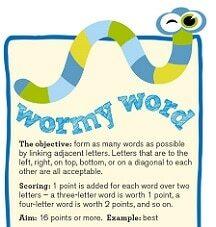 Printing out a few of our Wormy word sheets will give the kids plenty of thinking time and help with their vocabulary.